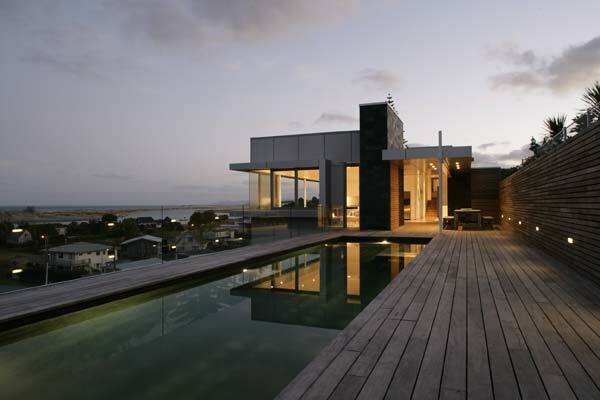 This seaside retreat for an Auckland couple straddles the edge of a cliff overlooking the ever-changing foreground of the Mangawhai Estuary and dunes. 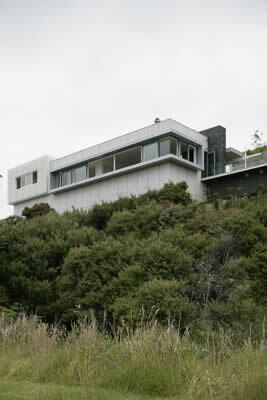 It runs along the length of a cliff with magnificent views from every room. 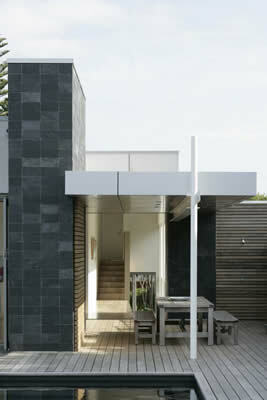 The street façade is intentionally uninviting, with garage and entry blending into the cladding.A ramp leads to 1½ volume living area with bedrooms a ½ level above, over the garage. 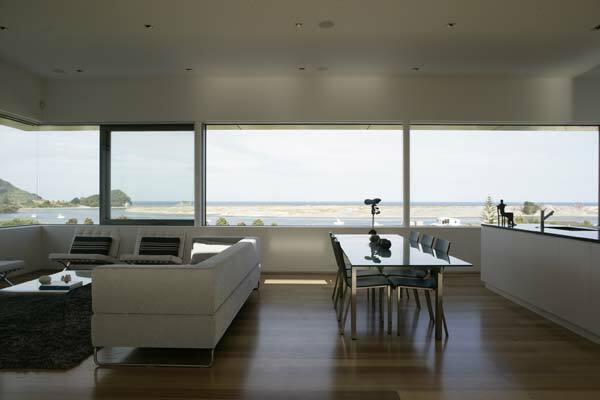 The cladding is a reminder of the traditional fibrolite bach like exterior, with the windows over scaled to create an optical illusion when viewed from the beach, while retaining scale appropriate to that in living area. 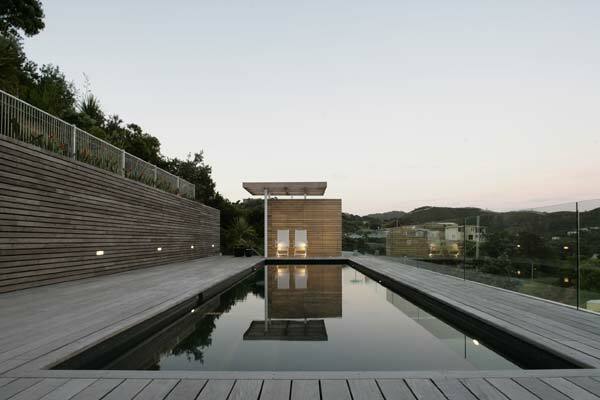 The design is a departure from the traditional placement of deck or outdoor area in front of the house instead the outdoor living is positioned partially behind the house to provide protection from the sea breezes, and capture the afternoon sun. 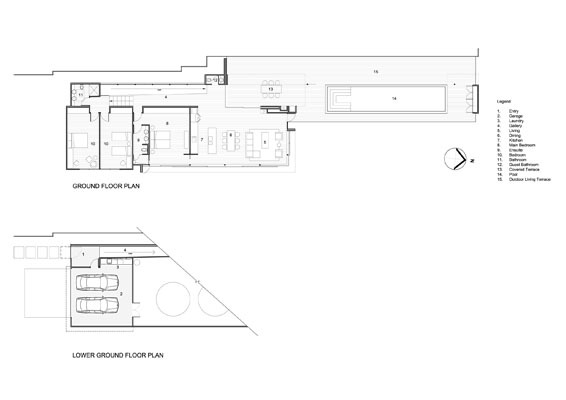 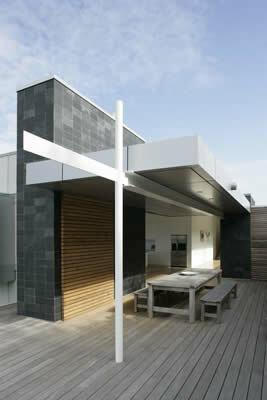 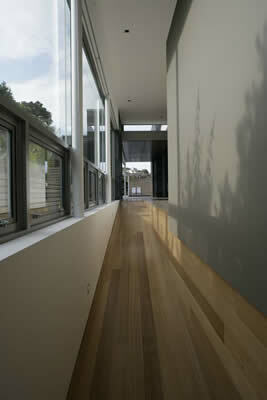 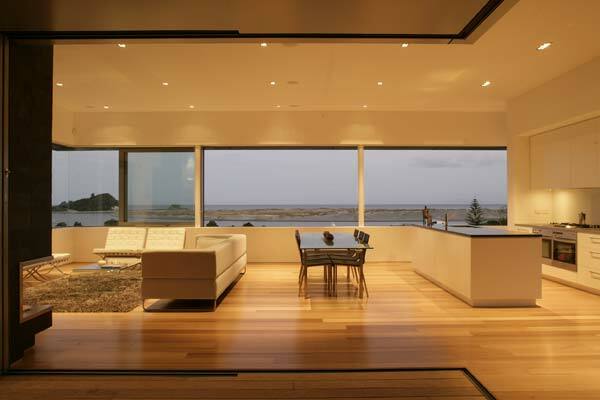 Mangawhai Beach House is a winner of the New Zealand Architecture Awards for Residential Architecture.